When we were invited to a sneak preview of the new Joolz Expedition I could not say no. I have a secret an obvious addiction to pushchairs and can't help but check out every single one that walks past. I have loved my Icandy since we got it, and I was interested to see if the Joolz would tempt me to try something new. 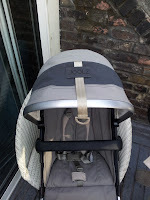 The expedition is a stunning pushchair that can be both forward or parent facing- something that I find very important, especially as I had a big baby who went into the pushchair very early on. The carry cot is much larger than the icandy however, so had we have had the Expedition we may not have had this problem. The seat unit on the Joolz are also much bigger than your average pushchair so if you are expecting/ already have a larger child, it is perfect. One of my favourite features was the hanger from the hood which meant you can hang toys from the top for a younger baby to bat at. The hood also has a hidden air top which can be opened to allow better air flow. Designed around the idea that getting out of the house is a challenge in itself with a child (something we all sympathise with), the Expedition is designed to be prepared for everything, and easy to use. 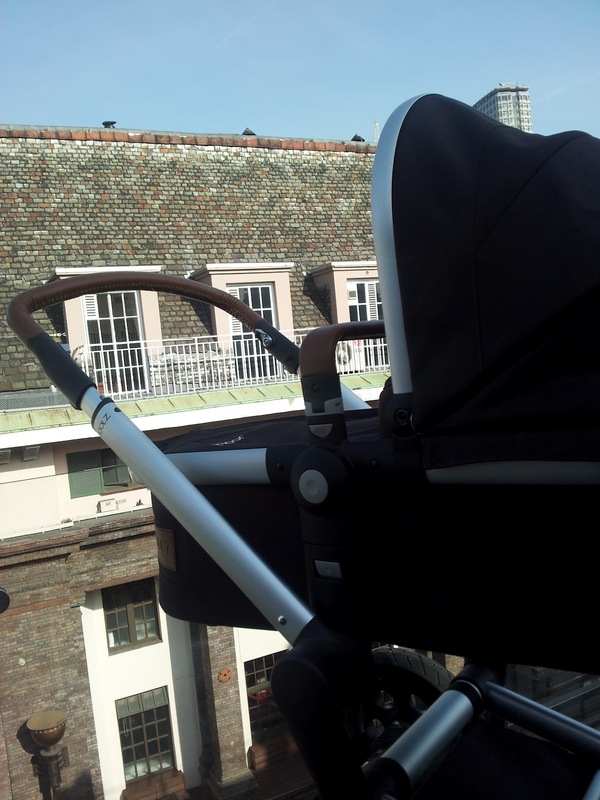 The seat and carrycot are higher to help a parents back, and the handlebar is extendible. This is one feature which I am very jealous of, as the icandy bar is not as high as I would like, being 5 foot 9. 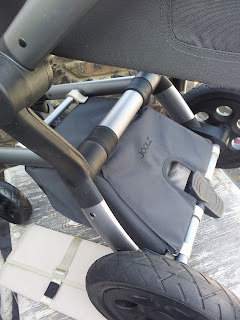 There are so many great features on the buggy, and I can't forget that the safety bar can be opened from both sides with one hand, and the little bag on the seat and cot to hold important bits and bobs. 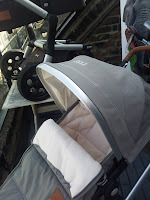 The buggy does retail at a rather high £849 but when you consider that you get the chassis, seat unit, carry-cot, changing bag, and sleeping bag it isn't too bad. Inspired by the natural beauty of the earth, this was my personal favourite, purely from an aesthetic point of view. I wasn't convinced about the brown leatherette handlebar, but when I saw it in the flesh I loved it. The beautiful colours, named Elephant Grey and Monkey Maroon are refreshingly different, and I have a pet hate of boring black buggies, ( we have the icandy in mulberry). 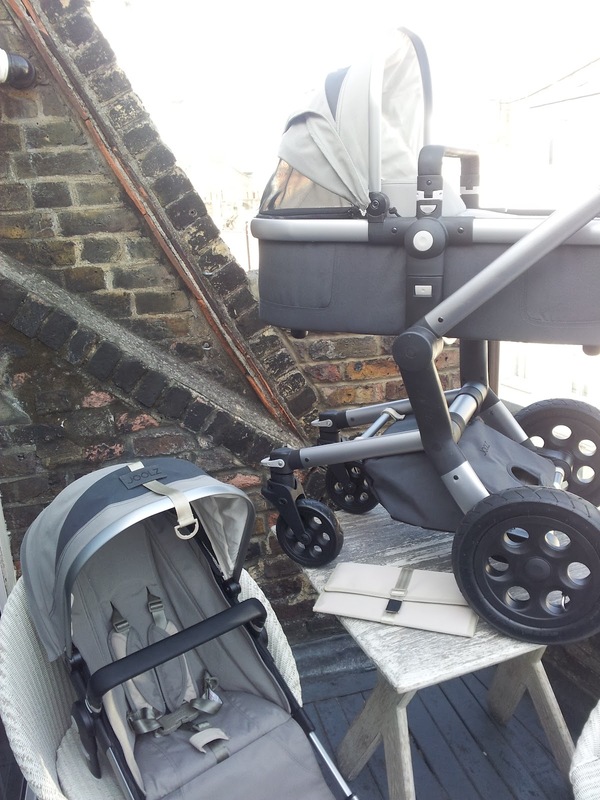 The Earth doesn't have the toy hanger or the air top, but is a smoother softer looking pushchair. 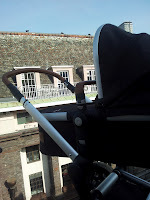 It retails at £779 so again is a top end choice, but for the whole package, carry-cot, pushchair, changing bag etc. it is an investment. I am of the impression that you get what you pay for, and the new Joolz ranges screams quality and style. To add into this natural feel, Joolz have redesigned their packaging to make it all recyclable and not in the conventional way. From lampshades and bird houses to picture frames and chairs, the packaging comes with instructions on how to put it to great use. I love this innovative idea from the young Dutch company, as I remember how much packaging we had to cut up and recycle from our pushchair! The Joolz Earth - isn't it stunning? 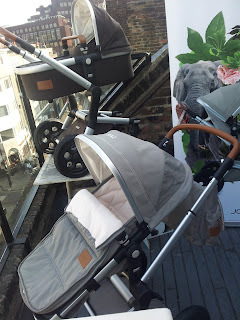 Disclaimer: We were invited to an event to test the new Joolz pushchairs but all thoughts, opinions and pictures are my own. My Monkey Maroon Joolz is on its way and I am absolutely ecstatic for it! It is for sure the most stylish pram out there atm! that lets you transform a bodyweight plate in less than 15 seconds.